Think you know every college out there? Think again. Here are some diamonds in the rough from The Garden State. Centenary College — Parsippany (Parsippany, NJ): Known for its equestrian programs (particularly its equine business major) Centenary also offers a comprehensive learning program, Project ABLE--Academic Bridges to Learning Effectiveness. Drew University (Madison, NJ): Drew is an excellent liberal arts university that has dedicated many of its resources in recent years to enhancing that image. 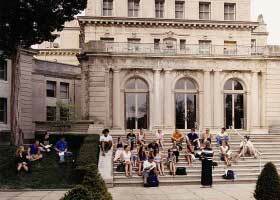 Monmouth University (West Long Branch, NJ): A private university near the Jersey shore, Monmouth offers a pleasant campus setting and a strong academic program. Rider University (Lawrenceville, NJ): Located in Larenceville, just down the road from Princeton, Rider offers solid accounting and business majors along with new majors in global supply chain management and fine and performing arts. One of Rider's gems is its musical theater program, which is connected with the Westminster Choir College of Rider University in Princeton. The College of New Jersey (Ewing, NJ): The College of New Jersey boasts outstanding academic programs that are less costly than those at other comparable schools. TCNJ's location near both Lawrenceville and Princeton ensures that there are plenty of college students and ongoing activities close by. The newly opened $120-million College Town across from the main campus entrance is a public-private partnership that includes one-, two-, and four-bedroom apartments, shops, and restaurants for students. TCNJ has spent significant time and money to position itself as a powerful academic competitor and has been pulling top students in the state away from Rutgers. The college's academics, size (6,000), and professor/student interactions provide for a positive learning atmosphere, and it is particularly strong in sciences, education, business, and music.